If you have been following the blog for any amount of time you know I live cars. I fix cars during the day, and talk about cars and the auto industry at night. I even drive a car in between 😉 So I thought I would talk about something a little different today, some cool British Cars. 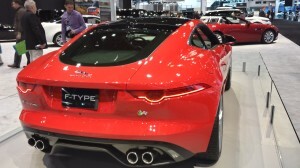 When I think of British cars, my mind goes immediately to James Bond. Q always modified the Bond cars with some really awesome gadgets. Race car style and handling Lotus builds some sick cars. Lotus builds cars with an uncompromising quest for excellence. They build lightweight cars with top notch handling. Seems like a perfect platform for a Bond car. 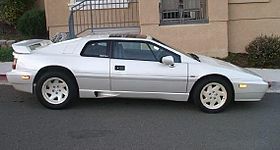 Lotus Esprit appeared in 2 Bond movies. Even though they are British cars, they are part of the VW family. I had the pleasure of working on one a few years back. It was a car that belonged to a friend of my dealers GM. I am not going to lie, it was pretty intimidating working on a car that cost more than my house. As I was working on it, I realized it was very much a highlight VW. It even shares part numbers with the Touareg. Too bad the one I worked on was not equipped with anti-pursuit systems. The R-Type appeared in only 1 Bond movie. THIS is what I think of when I think of British cars. There is much debate about what the best James Bond car is. but when I think of Bond, I think of Aston Martin. James Bond drove Aston Martins in 9 movies. Most popular model was the DB5. Sadly Aston Martin does not add all the cool Bond gadgets to the cars at the factory. The DB5 can be found in 5 Bond movies. Some say Jag-wire, some say Jag-u-ar, others just call them Jags. This car company was actually started by a company that originally made side cars for motorcycles. While there are some folks that may not love the Jag styling, you can not argue that the Mark 2 from the 1950, and the F-Type of today are amazing vehicles. Jaguar only made it in to 2 Bond movies. There are tons of really cool British cars. Some like Rolls-Royce are so far out of my price range its crazy. I might be able to swing some used British cars, but I may also be dreaming. Plus I need to keep some extra funds for anti-pursuit systems. 😉 Do you have a favorite Bond car? How about a British car in general? Post it up in the comments below. Hey Charles, great article. Have you heard of Morgan Motors? The Aero 8 now called something else I think is a BEAST. 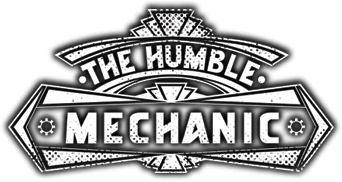 Hey Charles any recommendation for best mobile mechanics in San Diego? Because I know someone like you know a lot of things when it comes to fixing a car. Thanks.